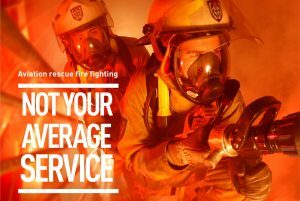 Airservices also recruits experienced fire fighters to bring new skills and backgrounds to build and strengthen its diverse and highly-skilled aviation rescue fire fighting service (ARFFS) workforce. Successful applicants will go through a condensed training period to gain their Leading Fire Fighter classification. This training includes aerodrome and aircraft familiarisation, vehicle operations, ARFFS systems and governance, equipment, communications, strategy and tactics. There is no scheduled or anticipated recruitment intake for experienced fire fighters in 2018 or 2019. What are the minimum eligibility requirements in order to apply? Australian or New Zealand Citizenship (by birth or naturalisation) or Australian permanent residence status (note that Australian Citizenship is required for any staff based in Darwin or Townsville). Please note that the minimum eligibility requirement is a PUA30601 Certificate III in Public Safety—Firefighting and Emergency Operations or a PUA30613 Certificate III in Public Safety—Firefighting and Emergency Operations. We are unable to make exceptions to this requirement. We are also unable to accept statutory declarations, recognition of prior learning or performance evidence in lieu of the minimum requirement. Will Airservices pay for my travel in order to complete testing? No, any travel or other costs associated with completing any of the recruitment process is at your own time and own expense. We will have a number of testing locations and, should you be selected to attend a physical testing or assessment centres, we will select a location closest to your home location. Where are the opportunities located? Airservices has 26 fire stations across Australia. Opportunities included Brisbane, Cairns, Mackay, Rockhampton, Townsville, Canberra, Sydney, Alice Springs, Port Hedland, Karratha and Broome. This is subject to change due to operational requirements and internal staff movements. Can I choose where I go/my end location? No, you will have the opportunity to nominate your preferences at the application stage, however these cannot be guaranteed. Should you be successful, Airservices will offer you a position at a location with an operational staffing need. Preferences will be considered where possible. You should only nominate a preference in those locations you are willing to be located. If I am successful, what and where is the required training? The program will take six weeks of ARFFS training at our Melbourne (Tullamarine) facilities. PUAFIR205 Respond to Aviation Incident (Specialist). What is the commencement salary? Successful candidates would commence at Leading Fire Fighter (LFF) classification. I am an Inspector/District Manager/Station Manager. Can I apply? This intake was for Leading Fire Fighters. If you were eligible and wished to apply for this role at LFF classification, you were welcome to submit an application. Progression beyond the LFF classification is subject to a merit-based selection process and positions are generally advertised internally. Will you pay my costs when I am in Melbourne training? If you are successful and accept an offer of employment, for your initial relocation travel to Melbourne you will receive an economy airfare to Melbourne, or motor vehicle allowance in lieu of airfare, for those recruited from outside of Victoria, but within Australia. You will also receive a return economy airfare back to your assigned location (home location). You will be required to make your own way to the accommodation from Melbourne Airport upon arrival. We will also fund your accommodation in a serviced apartment for the duration of the Recruit Training, as arranged by Airservices. This will be on a share basis. Daily transport to and from your accommodation and the Learning Academy in Melbourne is arranged and paid for by Airservices. Will you pay any costs if I have to move from my current home location? Should you be required to move from your current home location to take up a position with Airservices, costs are not payable. What if I am suitable but don’t make the final selection? Candidates who are deemed suitable by the selection panel but not offered employment due to limited vacancies available will be added to a reserve list. Candidates on the reserve list are given preference in order of their rank should any of the offered candidates not accept their offer or not meet the medical and/or the security check requirements. Candidates are required to undertake and pass physical tests. If test results are older than six months, they may have to be retested in order to be eligible for consideration by the selection panel. Candidates may only remain on the reserve list for up to 24 months, after which time they will be removed, and will be required to go through the full selection process. This is a rotating roster of eight days so that all employees are given equal access to weekends and public holidays. This is also a rotating roster providing equal access to weekends and public holidays. Please note that this is the current situation but is always subject to change based on operational and business requirements or changes to any subsequent Enterprise Agreements. There are down times during your shifts for which we provide recreation activities, gym access, full kitchens to prepare meals, shower amenities and, in most locations, sleeping quarters. What happens if I am offered a role? If you are successful in being offered a position as an Aviation Rescue Fire Fighter in a specific location, you will be notified five to six weeks in advance of your employment and training course commencing, in order to provide you with sufficient time to undergo the necessary Security Check and a medical assessment based on a CASA Class II. An offer of employment is contingent on passing a medical (based on a CASA Class II Assessment), an alcohol and other drugs test and obtaining an Airside ASIC. Applicants selected for any available Darwin and Townsville positions are also required to obtain a National Security Clearance at baseline level. What if I decide to leave Airservices? Z is the number of days remaining in the 36-month period calculated from the commencement date of the ARFFS Direct Recruit Training Course. The amount is a reasonable estimate of Airservices loss and is not a payment which constitutes a penalty. Airservices is an equal opportunity and inclusive employer. We have a commitment, and are taking active steps, to increase the representation of Indigenous Australians, women, people with disabilities and people from culturally and linguistically-diverse backgrounds in our workforce. The recruitment process is based on the principle of fairness and equity, with all applicants having an equal opportunity to present their capabilities. Commencement of training and employment. IMPORTANT: When applying for a role, you will be required to enter an email address and contact phone number. It is extremely important that you enter these details correctly as we communicate throughout the recruitment process via email. Please check the spelling of your email address and ensure that you include .com or .com.au correctly. If you are using a work email address, you may find that your security settings block some of our emails (Defence email addresses in particular). It is in your best interest to use a personal email address and to ensure that you consistently check your junk or spam folders for communication from Airservices. Given the volume of applicants involved in the recruitment process, we are unable to monitor this on your behalf. Please be aware that it is your responsibility to monitor your email account for communication. If your initial application is deemed suitable, you will be asked to complete online cognitive and psychometric assessments. You will receive an email with a link to our assessment supplier’s website where you will complete the assessments. If you pass the online testing, you may be invited to attend the physical assessments. You will be invited to attend the physical assessments at a nominated location (currently Cairns, Brisbane, Perth or Sydney) closest to your current home location. three, 30-metre simulated hose drags. simulated fire fighter rescue, 10 metres. To prepare for the physical assessment, watch our instructional video or read the physical aptitude test guide. If you pass the physical assessment, you may be invited to attend an assessment centre. This consists of a panel interview, teamwork exercise and online assessments to verify the assessment results you achieved in Stage 1. You are required to attend the assessment centre at the location you completed the physical assessment. Unfortunately, we are unable to accommodate any requests to complete this assessment at an alternative time/location. Candidates who are successful and deemed suitable at the assessment centre will have two referee checks completed. Reference checks will verify the candidate’s employment history (including performance, attendance and behaviours), performance observed through the recruitment process and to clarify any concerns. It is required that a current direct manager is provided as a referee. We will advise you prior to conducting referee checks and confirm with you, your nominated referee details. This will also give you time to prepare for your training course in Melbourne. An offer of employment is contingent on passing a medical (based on a CASA Class II Assessment), an alcohol and other drugs test and obtaining an Airside ASIC. Darwin applicants are also required to obtain a National Security Clearance at Baseline level. The medical assessment must be undertaken by a DAME (Designated Aviation Medical Examiner). Please note that it is your responsibility to ensure that your medical examiner forwards your results to Airservices Australia as per instructions provided to you prior to your exam. If you are selected, you will receive intensive training at our Melbourne Training Centre prior to placement at your home fire station. If you are successful in obtaining a position, we will contact you prior to the commencement of your course with relevant information to prepare you for your first day and for your training.